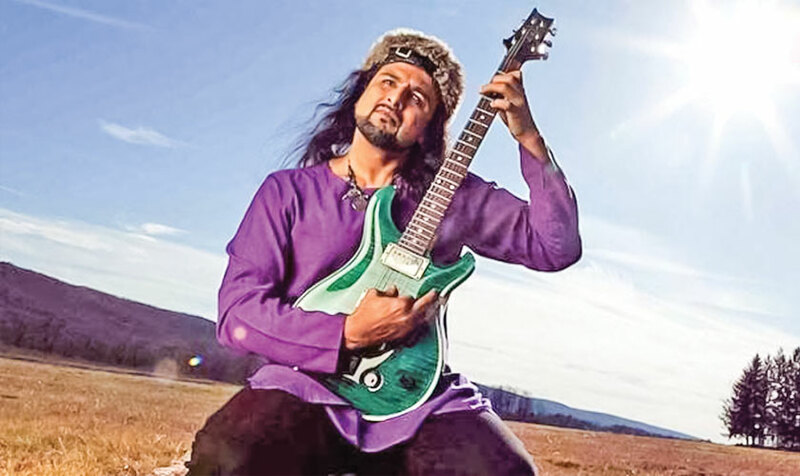 Salman Ahmed’s dream of a Junoon reunion, which is shared by millions of Junoon fans, may not materialize just as yet. In a recent interview with GEO, Junoon vocalist and front man Ali Azmat – without whom a reunion cannot happen – categorically denied any such thing. “This news surfaces at least once every month. There is no reunion happening,” was Azmat’s curt response when contacted. Salman Ahmed, however, reiterated that it was happening, adding that Ali just did not want to talk about it yet. While speculation on that front continues, it can be confirmed that Salman Ahmed is headed towards more international fame. Lyricist and composer Neil Berg, who’s produced musicals for Broadway (The Prince and the Pauper, The 12, Grumpy Old Men: The Musical) apparently read Salman Ahmad’s autobiography and life story of becoming a Pakistani rock star and forming South Asia’s most successful rock band Junoon as well as starting Vital Signs. Neil Berg has signed a contract with Salman based on his autobiography to produce a musical for Broadway. What more, Neil Berg & The Broadway All Stars invited Salman as a special guest to sing ‘Imagine’ by John Lennon Live onstage in front of a packed NY audience. He got a standing ovation! Read the full article from The News here. The legendary Ogunquit Playhouse is thrilled to produce five spectacular musicals for its upcoming season that includes … the U.S. premiere of the hilarious new musical Grumpy Old Men. We have also been following the development of the brand new musical version of Grumpy Old Men and are delighted and honored to produce the U.S premiere of this hilarious new production for Playhouse audiences this season. Season ticket subscription packages are on sale now and the only way to guarantee the best seats for the best price to these five exciting shows! Prices start at only $247 for a five-show package and $147 for a three-show package. Gift certificates and Flex Passes are also on sale online and through the Box Office. Individual tickets are on sale exclusively for Ogunquit Playhouse members beginning Tuesday, February 20. Individual tickets sales begin Monday, February 26 with prices starting at $52. Fasten your seat belt, it’s going to be a grumpy ride! The Ogunquit Playhouse is proud to produce the U.S. premiere of the new musical-comedy, Grumpy Old Men: The Musical – on stage August 8 to September 1 and just in time to celebrate the 25th Anniversary of the classic 1993 Warner Brothers film starring Jack Lemmon, Walter Matthau and Ann-Margret. This hilarious new show was penned by Dan Remmes, with music by Neil Berg and lyrics by Nick Meglin. Two aging neighbors, Max and John, have been feuding for more than fifty years until the beautiful and charming Ariel moves in across the street -raising the rivalry to new heights! Don’t miss this laugh-out-loud story of family, friendship, love and romance in a fresh new musical that’s guaranteed to delight! Learn more here from Maine Broadway World! Paper Mill Playhouse, by arrangement with Jeffrey Finn, presents the world-premiere production of the new musical comedy The Honeymooners, based on the CBS television series of the same name, beginning September 28. Music by Stephen Weiner and Lyrics by Peter Mills. Directed by Tony Award winner John Rando, with choreography by Emmy Award winner Joshua Bergasse, and musical direction and vocal arrangements by Remy Kurs, the production continues at the New Jersey venue through October 29. The cast is headed by Tony Award winner Michael McGrath as Ralph Kramden, Michael Mastro as Ed Norton, Leslie Kritzer as Alice Kramden, and Tony nominee Laura Bell Bundy as Trixie Norton, with Lewis Cleale as Bryce Bennett, Lewis J. Stadlen as Old Man Faciamatta, and David Wohl as Allen Upshaw. The ensemble features Holly Ann Butler, Chris Dwan, Hannah Florence, Tessa Grady, Stacey Todd Holt, Ryan Kasprzak, Drew King, Eloise Kropp, Harris Milgrim, Justin Prescott, Lance Roberts, Jeffrey Schecter, Britton Smith, Alison Solomon, Michael Walters, and Kevin Worley. Read the full article from Playbill Online here. The company will be led by Laura Bell Bundy, Leslie Kritzer, Michael Mastro, and Michael McGrath. Paper Mill Playhouse, by arrangement with Jeffrey Finn, has announced complete casting for its world-premiere production of the new musical comedy The Honeymooners, based on the CBS television series of the same name. Directed by Tony Award winner John Rando, with choreography by Emmy Award winner Joshua Bergasse, and musical direction and vocal arrangements by Remy Kurs, the production is scheduled to begin previews at the New Jersey venue September 28 for a limited run through October 29. The cast will be headed by Tony Award winner Michael McGrath as Ralph Kramden, Michael Mastro as Ed Norton, Leslie Kritzer as Alice Kramden, and Tony nominee Laura Bell Bundy as Trixie Norton, with Lewis Cleale as Bryce Bennett, Lewis J. Stadlen as Old Man Faciamatta, and David Wohl as Allen Upshaw. The ensemble will feature Holly Ann Butler, Chris Dwan, Hannah Florence, Tessa Grady, Stacey Todd Holt, Ryan Kasprzak, Drew King, Eloise Kropp, Harris Milgrim, Justin Prescott, Lance Roberts, Jeffrey Schecter, Britton Smith, Alison Solomon, Michael Walters, and Kevin Worley. The production will also have set design by Beowulf Boritt; costume design by Jess Goldstein; lighting design by Jason Lyons; sound design by Kai Harada; hair, wig, and makeup design by Leah J. Loukas; with orchestrations by Doug Besterman and dance arrangements by Sam Davis. The production stage manager is Timothy R. Semon. Casting is by Telsey + Company, Patrick Goodwin, CSA. Tickets are on sale now starting at $34 and may be purchased by calling (973) 376-4343, at the Paper Mill Playhouse Box Office at 22 Brookside Drive in Millburn, or online at www.PaperMill.org. Learn more from Playbill.com here.